When I reached the top of Independence Pass, I felt elated. This was my third year hiking this summit, yet the beauty of my surroundings left me just as in awe as my very first climb two years ago. I felt a huge sense of accomplishment, not for myself, but for the others in our group. To see everyone arrive gave me such a boost, because I knew how great the challenge was to get there. 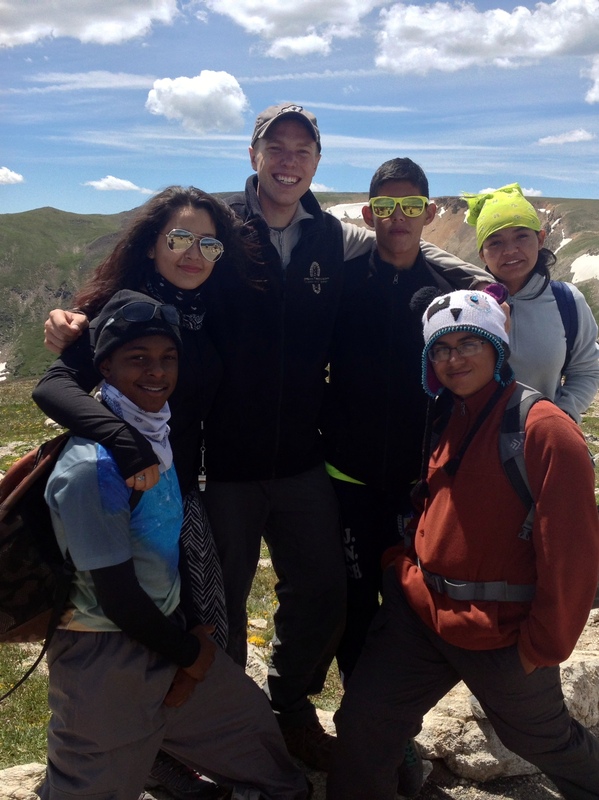 The entire two-week trip through Colorado and Utah was a culmination of a year’s worth of challenges and preparation for UrbanTrekkers from Camden, Wilmington, and Copan- all of whom had to pass through a series of obstacles and training to get to this very mountaintop. For some, like Luis and Iris, I loved that after the stacks of visa application paperwork, English lessons, and various trips around Honduras to get all the legal documentation secured, they were finally here at this peak, and able to touch snow for the first time. I loved seeing Iris laugh as snowballs flew by her head, and then she buckled down with Luis to build her first snowman. This was something I got to do my whole childhood, and now I got to be a part of their very first snow-experience ever! 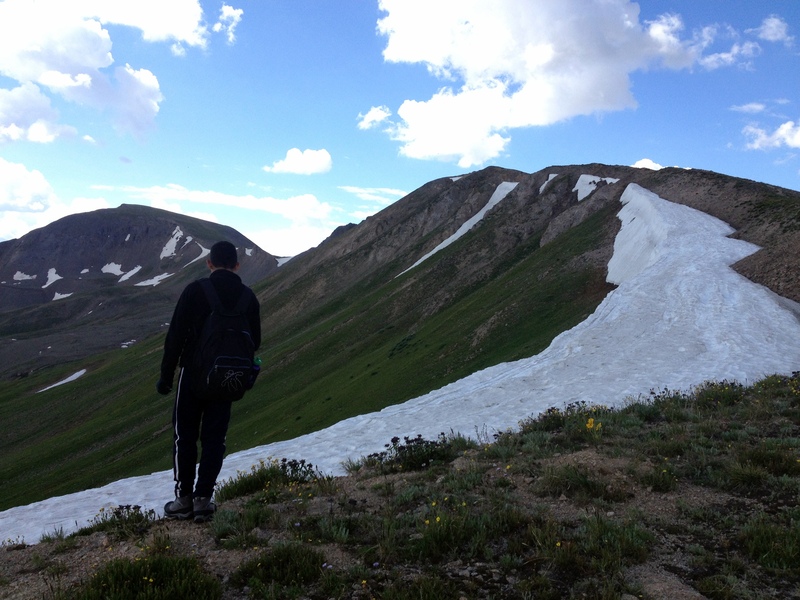 For others, the fact that they arrived at the top of Independence Pass was a true accomplishment which built confidence in themselves. Hiking 3 miles at 12,095 ft. of elevation from the highest paved state highway in the US is no easy feat for anyone, let alone a 15 year old from the inner-city. The night before our hike I heard voices of doubt that some wouldn’t be able to make it, or even want to try. Yet there I was as everyone crested that hill; I got to see them realize the value of facing the mountains in their life, and the reward it brought along with it. I learned something about myself that day… I truly relish in others’ accomplishments. To be able to encourage someone through difficult times gives me such joy because I know that God uses difficult moments to produce perseverance; perseverance leads to young men and women of character; and character leads to hope. 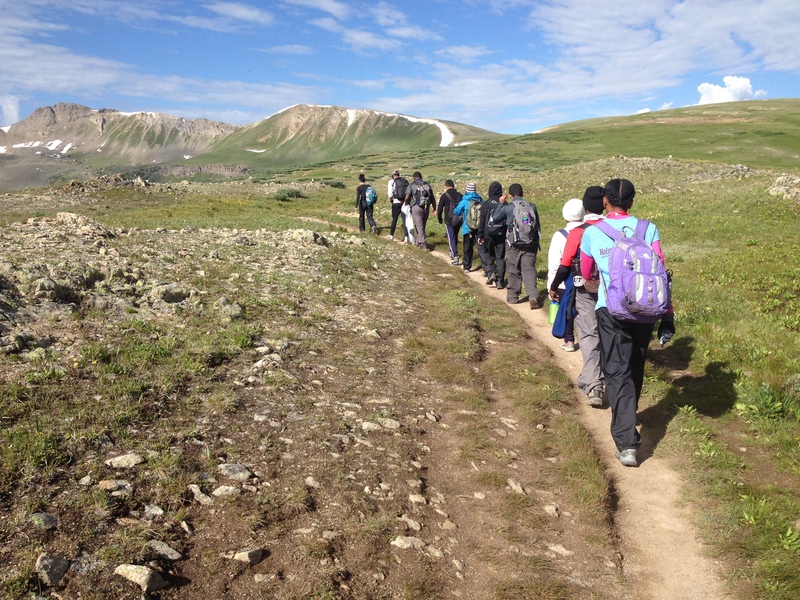 My hope for each and every one of the youth who hiked Independence Pass is that they always remember that moment of reaching the summit as their ordinary lives begin to kick back into gear. In remembering that moment, I hope they will be reminded of the loving God who shapes us, forms us, builds us up, and gives us the strength to climb the mountains in our lives. Tagged Camden, Challenge, Character, Colorado, Deleware, Hope, Independence Pass, Mountain, New Jersey, Perseverence, Snow, Utah, WilmingtonBookmark the permalink.